It looks like ice. It feels like ice. But it releases energy-rich gas. Has China solved the energy crisis? For countries without their own reserves of oil and gas, the mission to find an alternative energy source has sat at the centre of research for decades. Now, finally, China has become the first country to consider commercial mining of what could be the next natural resource to fuel our planet. ‘Flammable ice’, or methane hydrates, is ice that contains one of the most powerful fuel sources on our planet: methane. Trapped within a cage of water molecules, methane has been stored deep in the ice for millennia. Holding a match to a block of methane hydrates results in a flaming ice-cube, hence it’s catchy name, ‘flammable ice’. Flammable ice was first discovered in Russia in the 1960s, but without a suitable extraction method, the gravity of the discovery was limited. Then, when oil became such a valuable commodity, flammable ice was all but forgotten. Now, however, with natural resources rapidly depleting, uncovering flammable ice takes on new meaning; methane burns in a more environmentally friendly way than oil and coal, and a more energy efficient way than our other energy resources. What is perhaps most exciting to investors and researchers, however, is the US Department of Energy’s estimation that the methane trapped within flammable ice could exist in quantities that exceed the combined energy content of all of our other fossil fuels. This abundance could reduce pressure on the oil and gas industries, and even put an end to conflicts and purchasing of other fossil fuels. Methane is a highly energy-intensive fuel, with a single cubic metre of flammable ice releasing energy the equivalent of an entire 42 gallon barrel of crude oil. 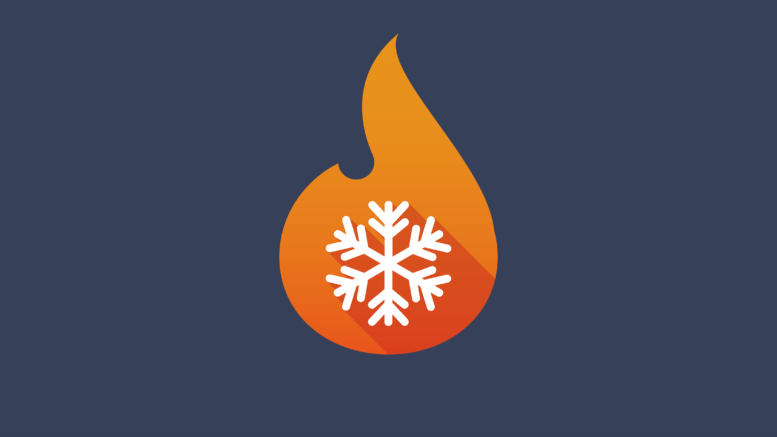 The major difficulty with this energy source is in extracting it; although burning the ice produces a flame, this energy release is too small-scale to have a true impact on the global energy market. In order to be an efficient source of energy for whole countries, methane must be extracted in its pure form. This is theoretically done by lowering the pressure or raising the temperature, causing the ice to break down (or melt) into water and methane. Extraction of methane carries with it one caveat, however: if the process goes wrong, we could flood the planet’s atmosphere with a gas up to 30 times more damaging than carbon dioxide. And that could be enough to trigger an apocalypse. In addition, if we mine too much flammable ice, we could decimate the ice-caps and permafrost that keeps our planet from suffering the devastating effects of global warming. But – and there is a ‘but’ – if China and its fellow flammable ice miners can find a commercial-scale, safe extraction procedure, methane hydrates could become the clean energy lynch-pin around which could revolutionise our world. The reality of ‘flammable ice’ as our next big energy source – it could take years to develop safe extraction procedures on the kind of scale that would be needed to revolutionise the planet, then several decades to adapt our technologies and patterns to incorporate methane as fuel (this, of course, being the main barrier to bio-fuels, too). A floating platform in the Shenu area of the South China Sea (approximately 300 kilometres from Hong Kong) reportedly mined flammable ice all last week. In addition, Chinese researchers claim to have developed an operation to free the methane from the ice and convert it into usable natural gas, in a single step. Miners have since estimated a daily average output of 16,000 cubic metres of gas mined at the site, so far. The future of ‘flammable ice’ is not right around the corner, but it is within sight. With the instability of the oil market at the present moment, we watch the methane efforts with bated breath.